Dallas Fort Worth International (DFW) Airport and Coca-Cola have teamed up to bring some holiday cheer to travelers this holiday season with surprise give-aways of Coke products, Coca-Cola bears and other gifts delivered by the Coca-Cola Polar bear – who will be hidden inside giant gift boxes. Toronto Pearson International Airport (YYZ) is holding its fifth annual citizenship ceremony on Friday for 50 of the countries newest citizens and marking a milestone with the commemoration the first government-sponsored Syrian refugee flight at the airport on December 10, 2015. Many of those refugees are now obtaining Canadian citizenship. Starting December 14, Delta will roll out a new, complimentary Main Cabin snack line up – with larger-size portions – of Snyder’s of Hanover pretzels, Squirrel Brand Honey Roasted peanuts and NatureBox Apple Cinnamon Yogurt Bars – along with the carrier’s signature Biscoff cookies. The complimentary snacks will be available in the Main Cabin on all flights over 250 miles. Passengers on shorter flights within North America from 251 to 599 miles will now receive a choice of Biscoff cookies or Snyder’s of Hanover® pretzels; before this they were only only offered one choice. Passengers on flights over 600 miles will have four choices of snacks instead of three. And customers on international flights will receive a choice of Snyder’s of Hanover® pretzels or Squirrel Brand Honey Roasted peanuts. To celebrate the new snacks, Delta has set up branded vending machines in Los Angeles, Seattle and New York to offer complimentary samples. September is National Yoga Month, which makes it great timing for the Chicago Department of Aviation to open the promised yoga room at Midway International Airport. Located on Concourse C, Midway’s new yoga room has a sustainable bamboo wood floor, floor to ceiling mirrors on one wall, exercise mats and an area to store personal articles and garments. There are frosted windows on one side of the room to let in natural light and to provide a bit of privacy. There’s also a wall-mounted video monitor showing yoga exercise techniques and nature scenes, all with an audio plays soothing sounds. Next door to Midway’s yoga room there’s a new room set aside for mothers who’d like some privacy while nursing a baby. But, since it is National Yoga Month, let’s get back to yoga. Chicago O’Hare International Airport -opened in December 2013. You’ll find it on the Mezzanine Level of Terminal 3 Rotunda, near the airport’s urban garden. San Francisco International Airport has two yoga rooms. SFO’s Yoga Room in Terminal 2 (which was the world’s first yoga room in an airport) is closed until November 4, 2014 to accommodate a construction project. 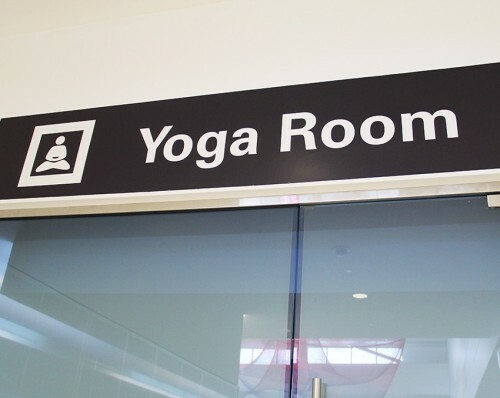 The airport’s second yoga room, located in Terminal 3, Boarding Area E, remains open. AT Dallas-Fort Worth International Airport, there’s a yoga studio located near Gate D40 in the hallway connecting Terminals B and D.
There’s also a space set aside for yoga at Burlington International Airport in Vermont. At all of these airport yoga studios, soothing ambiance – and mats – are provided. Meanwhile, at Helsinki Airport in Finland, Finavia’s TravelLab initiative has been testing out a variety of yoga offerings, including a Yoga Gate, yoga lessons and the sale of yoga-related items, including mats and clothes. The summertime project also surveyed passengers about the whether or not they’d be interested in paying for taking a yoga lesson at the airport. Would you? Do we detect a trend? A few weeks back the first in-airport airport yoga room opened at San Francisco International Airport. Now comes word that there’s a yoga space at Dallas/Fort Worth International Airport. Located behind a partial privacy screen, DFW’s free yoga studio is located in Terminal D at Gate D40 and is equipped with yoga mats, hand sanitizer and a view. The studio was installed in connection with the DFW “LiveWell” Walking Path and is a few feet from the start/end point of the Terminal D walking path that was also unveiled on Wednesday April 4. Those American flags and welcome signs won’t be needed at Dallas/Fort Worth International Airport anymore. Every day, for the past eight years, at least one chartered plane carrying U.S. soldiers heading home for two weeks of rest and recuperation from active duty in Iraq and Afghanistan has touched down at both Dallas/Fort Worth and Atlanta’s Hartsfield-Jackson airports. And for every flight at DFW, volunteers in the “Welcome Home a Hero” program have gathered to enthusiastically greet the returning soldiers. “The welcome is a festive event with recorded patriotic music and anywhere from 30 to 300 cheering people holding flags and homemade signs and banners,” said Donna Cranston, coordinator of the Dallas/Fort Worth program. 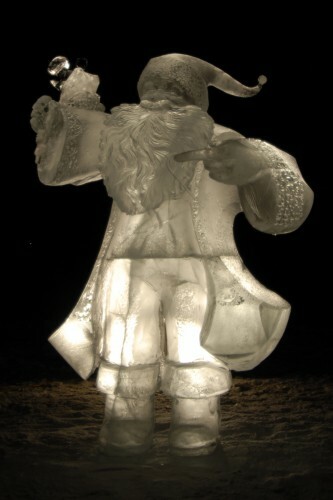 The greeting has become so well-known that some soldiers request to arrive in the U.S. via Dallas instead of Atlanta, Cranston said, even though that means they may have to wait longer for a connecting flight home. But the drawdown of troops in Iraq and the shift to shorter deployments means there are no longer two full planes of R&R-bound soldiers returning home each day. So the U.S. army has decided to consolidate the flights into Atlanta. March 14 will be the final Dallas arrival. The conclusion of the flight is bittersweet news for some troops and for many volunteers who have welcomed home more than 460,000 inbound soldiers who have touched down in Dallas since 2004. 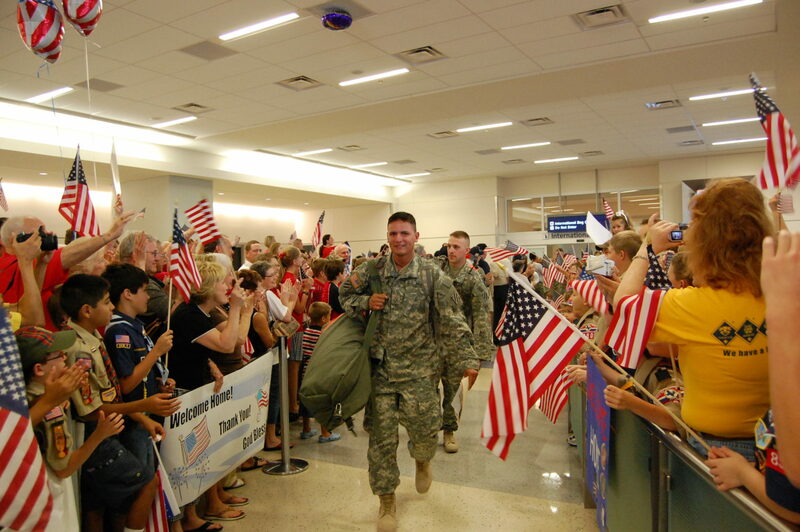 In Dallas/Fort Worth, many volunteers who welcome home troops at the airport also joined the USO so that they could be part of the send-off activities for active-duty military as well. “One volunteer has made more than 45,000 neck pillows to give to soldiers on their way back,” said McAfee. While the final R&R flight will arrive at Dallas/Fort Worth on March 14, the last departing flight is scheduled for March 30. After that, the U.S. Army’s daily chartered R&R flights will arrive and depart solely from Hartsfield-Jackson International Airport, where there’s a much smaller “Welcome Home a Hero” and send-off program.